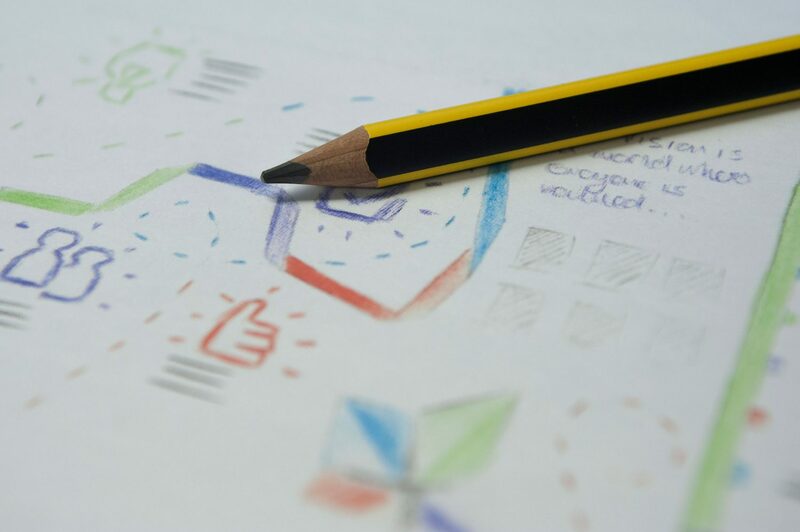 Working with an award-winning, local charity to communicate their vision and values. In the mid 1980s the Government decided to close long stay hospitals & institutions. They replaced them with good quality community based housing. 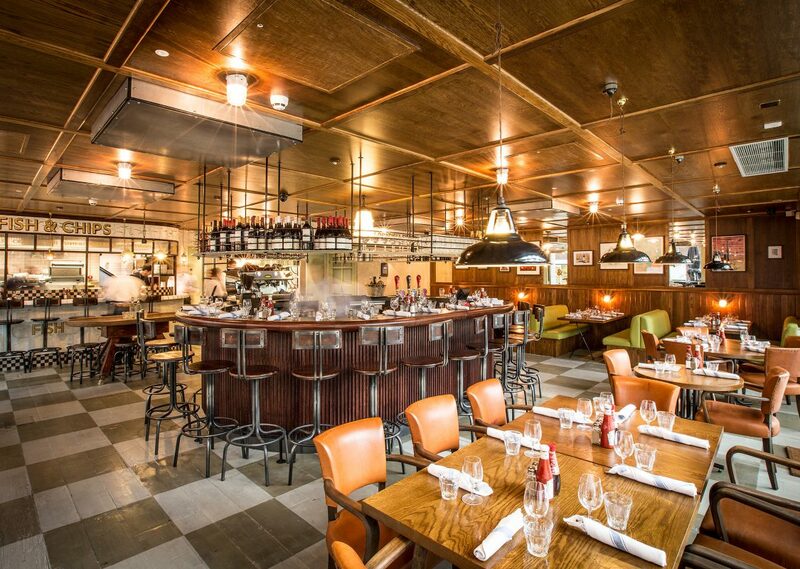 Agencies in the Maidstone area joined together to form mcch society limited. 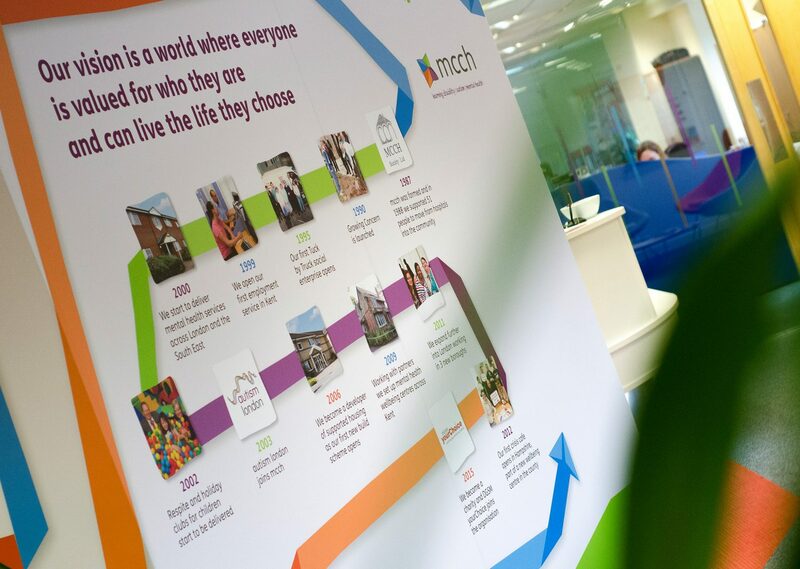 In the early 1990s mcch became an independent organisation. Nowadays they follow their visions, values and standards continuing to provide individuals with the key life skills and support to allow them to live happy and independently. 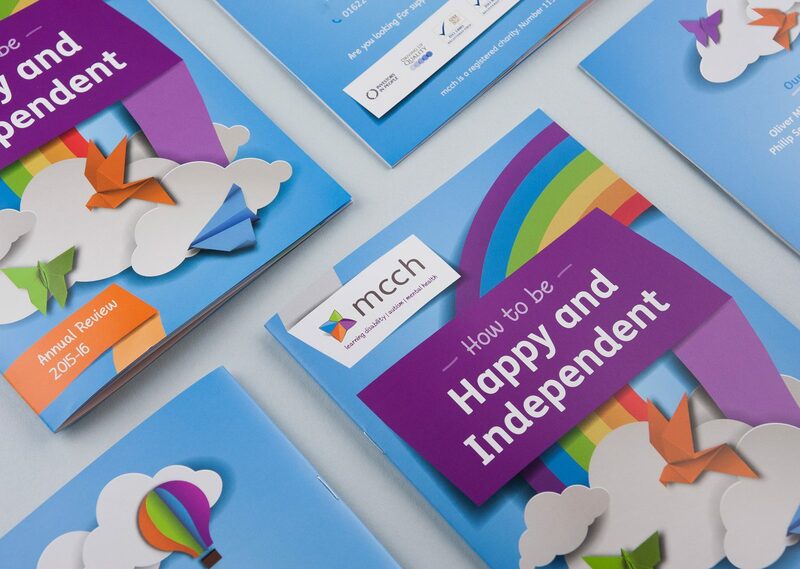 We have been working with the mcch team for a number of years to develop their visual brand identity and a variety of marketing materials. 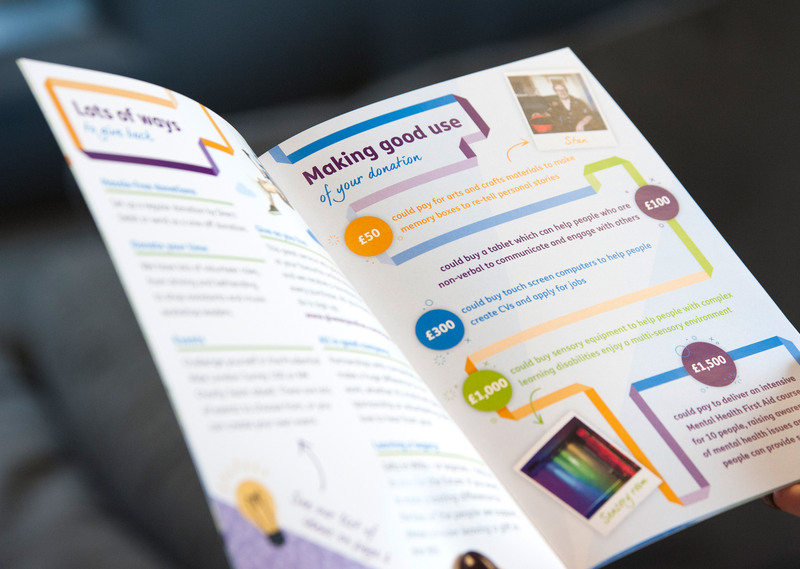 Projects have included a printed and interactive digital annual review, a large-scale wall piece to brighten up their chill-out area in their Aylesford office, an online job application form and most recently a fundraising pack to get people taking part. As a charity, mcch depends heavily on donations. 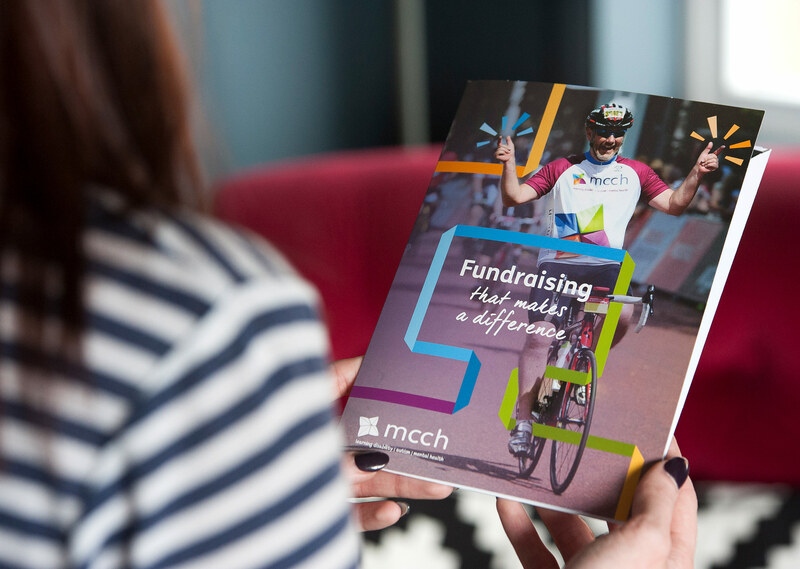 When the time came for them to update their fundraising packs we were very excited to get involved. To engage the potential donor, we address the situation in a fun and visually exciting way, making sure they understand that whatever weird and wacky way they choose to support mcch, it DOES make a difference! We have created a 12 page fundraising booklet and a sweepstake poster that will all be sent out in an oversized A5 folder. 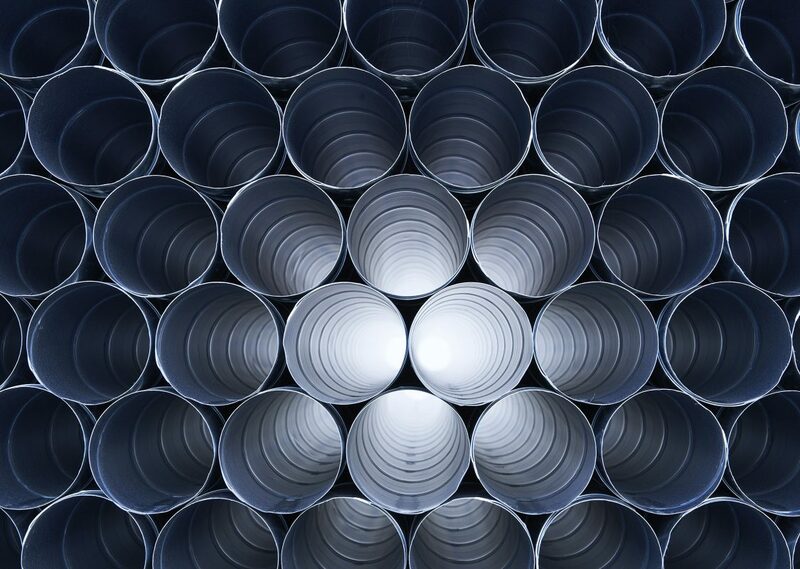 The design ties in perfectly with their other materials we’ve created for them in the past, featuring all their bright brand colours and the mcch ribbon, which weaves itself around photography and illustrative elements.